I have looked everywhere for a grapefruit knife since I lost mine. Miles Kimball had it along with grapefruit spoons. The knife is even better than the one I had and t works just great! This is a must have for grapefruit lovers. This product is perfect. The double-ended knife makes cutting around the edge AND separating each section a breeze. I have a tree that produces lots of fruit, but until now, I have only eaten them occasionally because it was a lot of work. The serrated end of the spoons is great because it "grabs" the piece. I highly recommend it. I love grapefruit and my daughter too. I have two of these spoons and am getting these for my daughter. My daughter has been in need of this and we couldn't find any until now. 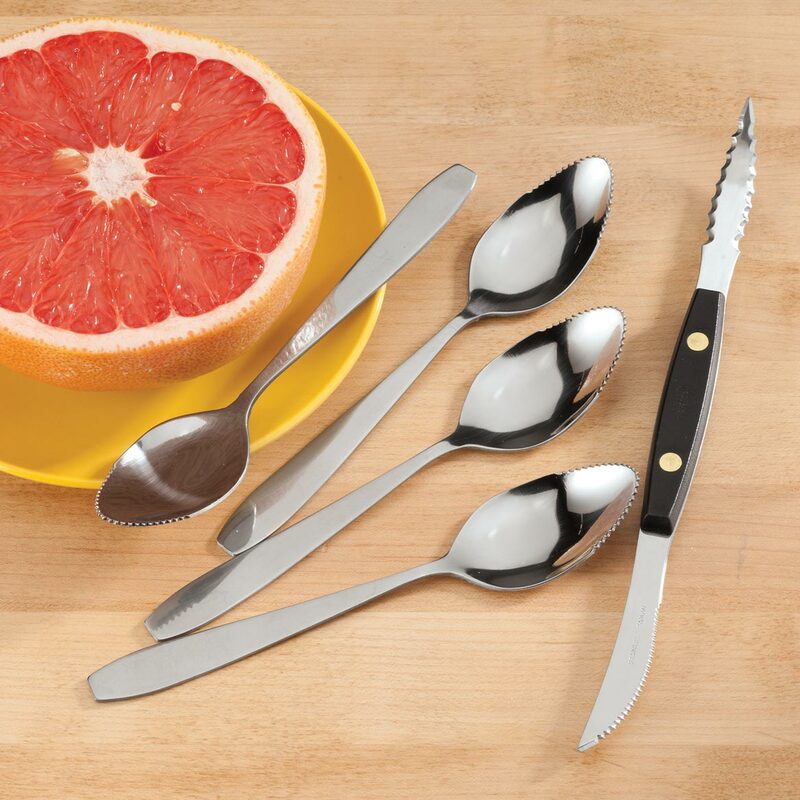 Eating more grapefruit and this set seems useful. I have a friend that has been looking for these and could not find them so when I found them I decided to order them for her. Bought it, Very happy with this purchase! Helps to savor every bite of my grapefruit. 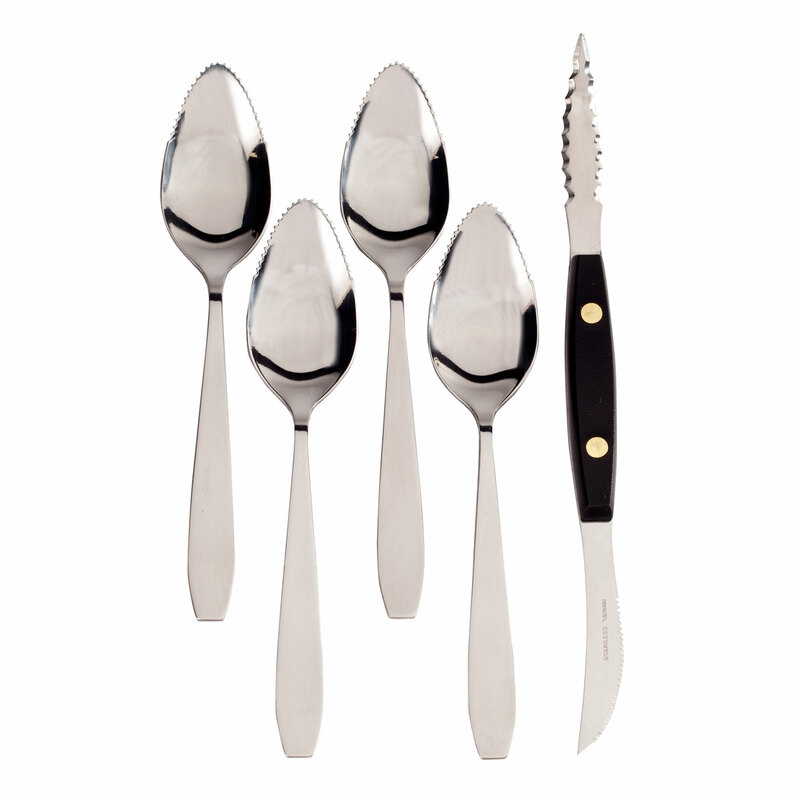 Graprfruit spoons come in hand for scrapping out melons, avocados and any thing else with seeds.